I was told to come back in a week for my follow-up appointment, that there would be some swelling because there was a lot of drilling. “Anytime there is a lot of drilling there will be swelling, and we did a lot.” It should start going down in about 2 – 3 days. That was Wednesday. I tried to go to work on Friday and when my supervisor saw me she shrieked and told me to go home. “Go home now!” I tried to tough it out, but left about an hour later. By Sunday my face was still swollen and the pain was still with me. Monday morning I called the dentist and told them, “My face is still swollen, my teeth are numb, my lip is numb, my face is numb, my tongue is numb and I’m still bleeding.” She sounded surprised, told me to hold on they were going to get the doctor. When they came back, I was told the doctor said that was normal and he’d see me on Wednesday. I went to work that day and got some sad looks of sympathy; my face was still swollen. By the time I went in on Wednesday it was still swollen and I told him everything I had before. He gave me a Zpack and told me something that did not quite set in until I got home. 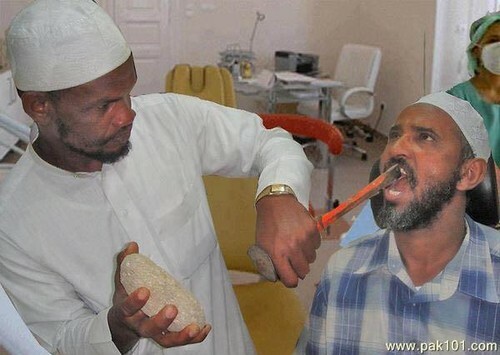 “Come back in a month and if it’s still not looking good, we’ll get you a referral to the oral surgeon. A month? It had already been a week and nothing improved. I was supposed to go another month to see if things were going to improve? That made absolutely no sense. So I sent an email and stated that I thought it unreasonable, unfair and unrealistic to expect someone to go through the discomfort of not being able to do regular daily activities; eating, exercising, sleeping, driving, etc. That waiting a month (from the 18th of March to 16th of April) was not going to be acceptable and I requested the referral right away. I got a call that day saying they were going to forward my x-rays to the oral surgeon and that an appointment would be set up for me. I got the appointment it ended up being the 25th of March. When I got there and I explained to the doctor my symptoms, he did not have a single good thing to say. He told me that the numbness typically does not last as long as it had been. He also stated the numbness to my face, teeth and gums COULD last for a couple months or longer. However, the numbness to my tongue was rare and there was no telling when or if it would ever come back. Honestly, I would say that my best quality is my smile. Nothing about my eyes, cheeks, face… just my smile. I’ve always liked my teeth. Even at a young age I can recall saying to myself, “Those are some nice choppers you got there.” I chipped a tooth once (which is a separate story altogether) and recall the dentist asking if I wanted it filed. I told him no, I liked the appeal of the imperfection. I probably should have had him do it, I mean who listens to a 9 year old boy? Really? All in all I’ve maintained a pretty good dental routine. I won’t get into my most recent terrifying visit to the ‘Chair of Death’, I’ll save that for another story. Maybe though, my smile could be attributed to something else. Could it be all the diary I consumed as a kid? 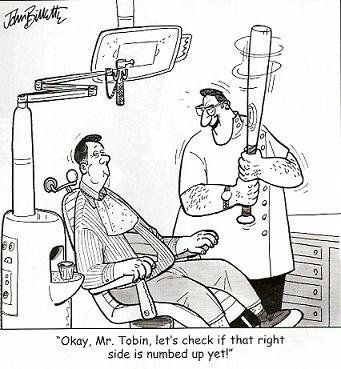 Perhaps that kept my teeth in such good condition? It was really a lot; I used to drink milk like a was a baby cow. Milk did not last long in our house… sorry mom. Now-a-days, I’m an almond milk kind of guy, but I still love cheese. I think that in an alternate universe I must be a cheese connoisseur who sits at tables, sampling tasty cheeses and delighting in the process. Pass the brie fool! 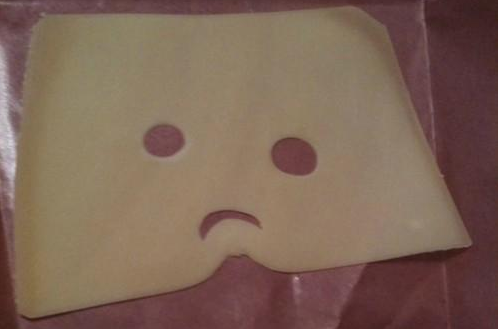 I went to a function back in December, it was pretty informative but I came home talking about the cheese 🙂 So imagine my dismay when I learned yesterday that Kraft® Singles… sniff, wait. . . Sigh, Kraft® Singles, is not real cheese! How could they do this!? Less than 51% real cheese? So what’s in it!? What have I been eating all this time?!Sigh. It certainly has me thinking though, what things are we eating that is not what we believe it to be? I recently watched a short documentary on how companies play on words and labels in their marketing, in order to get people to buy what they’re selling (both in mind and money). I guess this is a really good example of that. This whole time we… I have been happily eating this STUFF, all the while ignorant to the fact that it was never cheese in the first place. Something to truly think about is, will this cause me to change anything about myself? Will I change my spending/buying habits now that I have this extra piece of information? Will I pay more attention to the labels (something I probably should do anyways) of products that I buy? What have you been duped into buying?